I feel a bit conflicted about what rating to give this book. On the one hand, I loved and devoured the last three hundred pages of this book. I found Cassandra, Nell, and Eliza to all be compelling characters and I grew attached to each of them individually. The writing is really beautiful, even poetic in parts, and I loved the weaving of Eliza's fairy tales throughout. I also really enjoyed the setup of the book, with the three women narrating and the way Morton wove everything together so nicely, even repeating sections of narration at the end to show continuity. On the other hand, it took me 200+ pages to really grab onto it, which, in my opinion, is a bit too much. In fact, I was about to abandon the book around page 200, when there was a sudden twist. In addition, parts of the back story, particularly Eliza's, while necessary, should have been reduced. Also, the final twist of the story was likely not a twist for many readers - if you have been paying attention, it's fairly obvious. Finally, I felt that some of this was too reminiscent of The Secret Garden. Morton knowingly pays homage to Hodgeson Burnett, and even includes it in the story, but still, I felt it was a bit overdone. All in all, if you want to choose a family epic about discovering one's history, this is a great choice, though there are some flaws. If you are looking for a mystery, I would suggest that you look elsewhere. 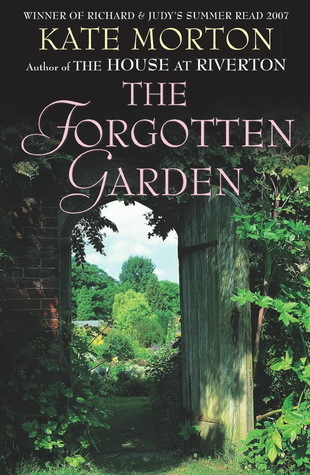 Sign into Goodreads to see if any of your friends have read The Forgotten Garden. I loved the book BUT have to say that it was too much like The Secret Garden. I may read it, I abandoned earlier on , but enjoyed your review. I enjoyed the book and found it to be entertaining easy reading. The one glaring inconsistancy to me was the lack of rationale for Eliza's life choices. Why would a girl of her spirit be content spending her life in almost total isolation instead of seeking romance and adventure ? Also I question whether her total devotion to Rose is healthy. I agree with Elaine, I'm not Eliza would have wanted to be shut up away from every thing. I also smacked my forehead that she left that list out in the open. If she was going to skip town under a fake name, I doubt she would have left anything to "trace" back at the cottage.